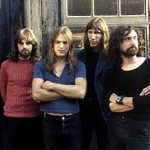 Learn how to play Pink Floyd – Another Brick In The Wall (Part 2) note-for-note on guitar. This lesson teaches the two key guitar parts from the track. Lesson 1 is the rhythm guitar part. Lesson 2 breaks down the guitar solo and goes through it note-by-note. The complete file contains 4 lesson videos, 4 performance play thru videos, full tabs, chords and lyrics. You’ll receive a link to download the lesson which will download as a zip file of 580 Mb containing all the lesson content. Jerry, is there a part 1 to this? I can’t seem to find one. On the album The Wall there are 3 versions of this song, called Part 1, Part 2 and Part 3. The famous one that was the hit single is Part 2. Thus you don’t need any other part – this is the song you know in its entirety.